Are you the one to apply eyebrow make-up? If yes, you are in the group of women who want to look beautiful and up to speed. Let’s see how you can perform eyebrow make-up to provide them with right shape, highlight look and expose the iris. Meet secrets of make-up artists and become professional make-up artist yourself. You have no idea how much can change eyebrow make-up. It optically makes eyelids bigger, highlights colour of the iris and makes your face look much more beautiful. Specialists on make-up differentiate several methods of eyebrow stylisation. If you never used professional cosmetics, start with brushing eyebrows. You can use a wand from an old mascara. Gently comb eyebrows in the direction of the temples, then “pull” them a bit upwards. Second method is to draw a contour of the brow ridge and fill it with colour. Do not forget to groom the eyebrows. Use for it tweezers, disinfected beforehand. Then pluck few stray hairs. What are basic rules of eyebrow make-up? Colour of eyebrow shades or gel match with colour of your eyebrows. Shade can be at most one tone lighter than natural colour; you can always use cosmetics in two shades – this way you can achieve three dimensional effect. For eyebrows make-up use brush with angled brush with stiff bristle. Thanks to such applicator you can draw perfect lines and underline contour of brow ridge. If your eyebrows grow slowly and you perhaps take too much of them, try conditioner or castor oil. After few weeks you will be able to enjoy dense and strong eyebrows. 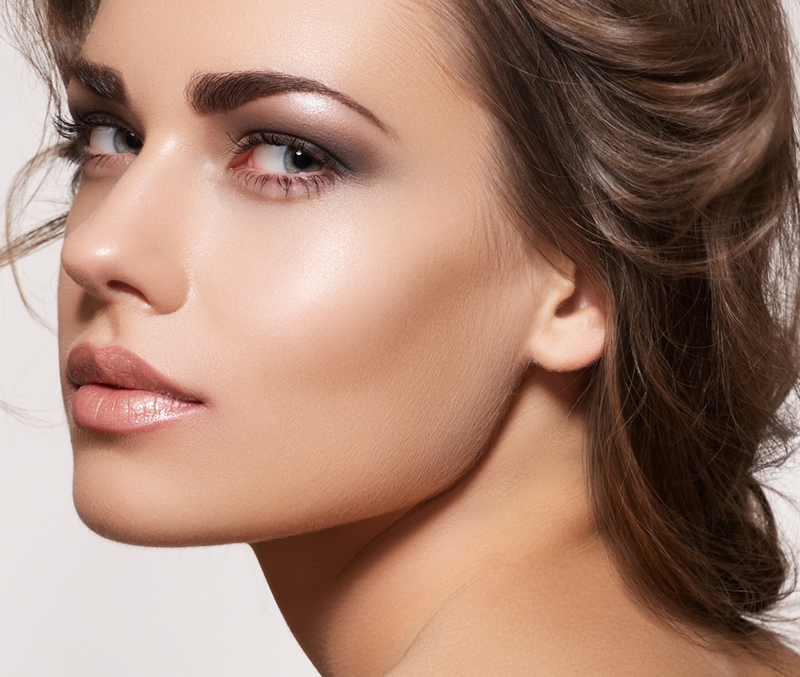 Avoid gels, eyebrow pencils or eyebrow shades with thick and greasy formula. Residues of cosmetics could remain on hair, clump them and create unaesthetic lumps. How to perform eyebrow make-up? Start by determining shape of the brow ridge, its length and thickness. To the ala of nose place some thin item, e.g. pencil. It will determine the beginning of the brow ridge. Without moving pencil from the ala of nose direct it towards external eye corner – this is the end of the eyebrow. The exact place where eyebrow should be bent can be stated by placing pencil by the ala of the nose and external part of the iris. Draw contour, then fill it. Use gel, eyebrow pencil or eyebrow shades. With applicator draw short lines, which will imitate eyebrows. Your make-up is ready!